In my military career, I have sat through A LOT of training. I have had training on how to work a fire extinguisher, “total quality management,” how to welcome all gender identities into the workplace, and how to report human trafficking – just to name a few. Most of those lessons were absurd wastes of time, but there are three lessons that have proven themselves to me over and over in both day-to-day operations and in combat: the OODA Loop, the Crew Resource Management approach to teamwork, and Operational Risk Management. Those three lessons, particularly when taken together made me smarter, safer, and better able to contribute in the overall fight. I am going to introduce them here, and you will see them come up throughout our publications and training as key themes in this Tactical Tangents project. Jim has a background in military aviation, specializing in combat rescue and close air support. His opinions are his alone and do not reflect the policy or position of the Air Force or Department of Defense, and no references here should be interpreted as an endorsement of any product or service by any government agency. Join our Email list for the Fast Transients bulletin and important updates. It's Free! Sounds good, keep me posted! Ever get that tingling sense that someone is coming up behind you? We found a company that invented a personal security radar that could drastically limit an adversary’s ability to surprise you. That’s worth talking about. With some reasonable preparation, proportional to your personal risk of having to fight at night — you can use the darkness to gain and maintain gross overmatch. Start by sorting out your own personal risk, which should drive your investment in training and equipment. Consider both technical and non-technical ways you can improve your ability to see and screw with your adversary’s ability to see. If you are reading this, you are probably pretty smart – you probably already have a working idea of what an OODA Loop is, and you probably know a thing or two about teamwork and risk. Maybe you have been teaching these things since the ‘Nam. Hear me out though, because I am going to help you explain them to others and weave them together. The key here is in the mix. Likewise, if you are starting from zero, this article is only going to scratch the surface on these topics – but hopefully it will give you a place to start and a direction to go if you find them interesting. Just listing it out like that (which is usually how it is explained in tactical training) doesn’t do it justice though – it is a loop, and it is driven almost entirely by the Orientation element. All those things that go into your worldview: your education, training, prior experience, even your religion – they drive your orientation and therefore, all the other steps. They drive which way you look, what you notice, the options you consider, and the time you allocate to act on your decision. So in flying, it isn’t about how fast you can get the jet going, or how tight you can make a turn – it is about your airplane’s ability to change how fast it is going, and your ability to quickly change the direction of your turn. In other words: agility. It is about how fast you can make things happen for the other guy. That shouldn’t be news to cops and serious concealed carriers – we all get taught that action beats reaction; what might be news is all the different directions you can take it. One way to explain this in the tactical setting is through Verbal Judo and related de-escalation efforts. If a guy is coming at you looking for a fight – don’t give him the thing he is looking for. He is expecting a shove or a punch – and he is prepared for it. He probably isn’t expecting you to throw your car keys at him or having you ask him what time it is. Those might sound dumb, but they don’t have to be smart – they just have to interrupt him and delay his reaction to whatever force you are preparing to deliver to him. To be clear, I am not telling you that you should throw your car keys at every dude who ever charges you – I am saying you need to develop the Adaptability and tactical agility to change the situation on a guy who is trying to force a situation on you – that is how you regain the initiative in a defensive fight. One great example is when Dallas SWAT used a bomb robot – well, heh… a robot, with a bomb, to neutralize an active shooter. That bomb robot got all inside that shooter’s OODA Loop. You also need to recognize that everyone involved in a fight has an OODA cycle… you, your partner (maybe spouse, maybe teammate), the bad guy, bystanders, arriving law enforcement, and arriving paramedics. Everyone is trying to assess the situation and make decisions to survive on their own terms. The things you do and say affect the OODA Loop of everyone around you. Consider the example of an active shooter scenario where you are engaging the shooter as a concealed carrier or off duty cop – when the cavalry shows up, will they know you are a good guy? What are you doing to make sure of that? Think about all the things the Taliban and ISIS do to mess with our OODA Loops… dressing like women, surrounding themselves with kids, hiding weapons. What do drug dealers do to mess with police OODA Loops? Colonel Boyd also figured out that one of the biggest liabilities in an OODA Loop is in the delay of information transfer between the observers, the decision makers, and the doers – in other words: agencies and whole governments have OODA Loops. Consider how long it took to move information between the FAA, NORAD, and the President on September 11th. Some decisions must be kept at the highest levels, but most can be kept at lower levels as long as there is sufficient implicit guidance and intent conveyed from the decision makers to the doers. A common example of this in law enforcement is that in some agencies, only a supervisor can approve a police chase or even the use of a TASER. Consider how that delay in action creates risk to officers and to the public. In the military, I have to get an offensive strike approved by God himself, and by that time, the target has often already moved into a building full of kids. So, it turns out that most pilots are a lot better at interacting with machines than with people. As aircraft design and manufacturing got better, aircraft mishaps due to mechanical malfunction or design defect went down – but the number of mishaps due to human error remained the same (and sometimes went up). NASA, the FAA, and the military services all did research on how to reduce human error and they found that failures of what the rest of the world calls “teamwork” were causing a lot of those errors. They each made their own efforts to create a program known as Crew Resource Management – an initiative to help teach pilots (and navigators, load masters, flight engineers, aerial gunners, weapons officers, battle managers, sensor operators, and air traffic controllers) how to avoid those teamwork pitfalls. We will go into details on all the good CRM tricks in later posts, but for now, I want you to know DAM-CLAS. The difference between a “team” and a “high performing team” is that the former is hung up on forming and storming, or at best cheering on the teammates and encouraging members to “pull their own weight” — whereas in high performing teams, each member is actively engaging the rest of the team along the DAM-CLAS axes. Decision Making – Help sort out what decision specifically needs to be made, who needs to make it, and when that decision must be made. Contribute information that will be specifically useful in making the decision. 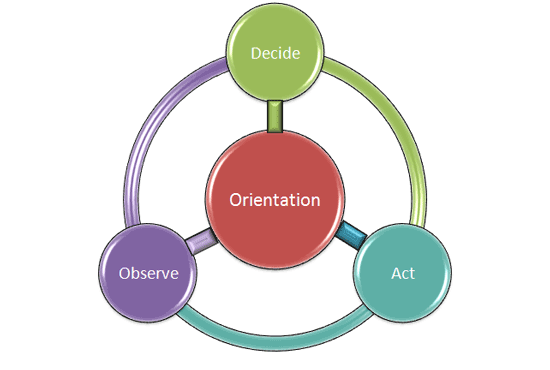 Remember that section of OODA Loop where I talked about implicit guidance and elevated decisions? Sometimes you have to force the boss to make a decision, and force feed the information to help him make a good decision. Sometimes you don’t have time, and just have to do the best you can without stopping to ask permission. Assertiveness – Hold your position until you are satisfied that the alternative approach is better. Do not fall for Halo Effect or Passenger Syndrome where you tend to go along with others just because they are senior, well-regarded, or pushy. Mission Analysis – Help figure out what the task and purpose of the team is. Help the rest of the team grasp the difference between the letter and the intent of rules and commands. Also, Mission Analysis is planning – you are constantly developing and updating your short and long term plans. The point of planning is to give you a chance to work through your list of options, planning helps keep you adaptable because you have already worked through the contingencies – giving you a faster decision loop. Communication – Move information around in an Accurate, Brief, and Clear way. Help arrange which information needs to move within the team, and which information needs to move from the team to outside agencies. Think before you key the mic or dial 911. Think about the decisions the people around you have to make and force feed the relevant information to help them make those decisions. Leadership – Within the team, even if you aren’t the designated leader, you have to inspire and motivate others to win their confidence and even sometimes obedience. They have to trust you enough that when you shout GET DOWN, they don’t stop to ask you 45 questions about it. Adaptability – The mental agility to shift your plan and approach when you realize the situation has changed. Good shooters have a dynamic enough OODA Loop to notice when the plan has to change, and can change the plan on the fly. 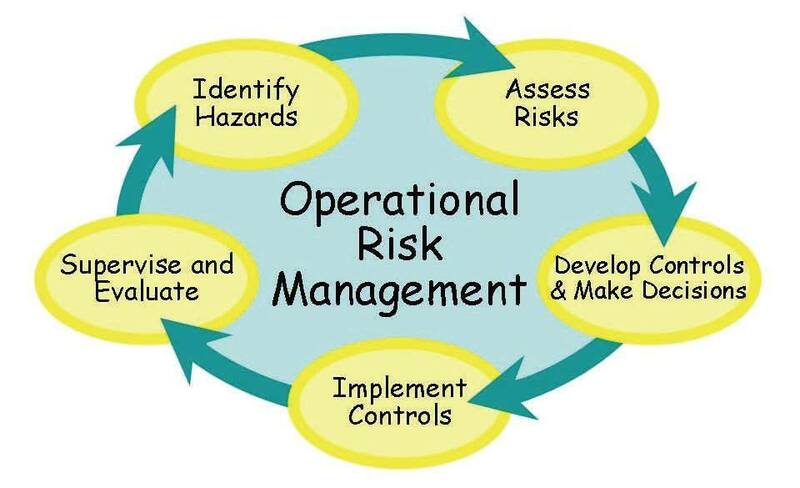 In simple terms, ORM is what we do to take a sober look at what could go wrong, how likely a thing could go wrong, and how bad it could get if it goes wrong – and then sorting out what to do about it. Different organizations will define these terms a little differently, but in general, we try to identify the hazard – the thing that we don’t want to have happen. We try to assess the risk – figuring out both the odds that hazard could happen and the severity if it does happen. We make risk decisions about whether we want to accept, reject, transfer, or mitigate that risk. If we decide to mitigate the risk, we want to deliberately dial down either the likelihood or severity (or both). And then we try to constantly assess whether the steps we are taking are working. We stole this graphic from the Marine Corps. Marines have the best cartoons. I like to use the example of a motorcycle ride from Los Angeles to Phoenix. What could go wrong? Well, one thing is that some other driver might smash into me. How likely? Pretty likely, it happens every day. But maybe we can quantify that a little… 1 in 100? 1 in 1,000,000? Well those are way different – and you’ll find that people tend to grossly over or underestimate risk based on their Orientation. Our little ape brains have a hard time comprehending big numbers, and that screws with our perception of risk, which affects our OODA Loop. So think about that – your preconceived notions of what is dangerous affect how you assess different dangers, which affect which dangers you even look out for. According to the CDC, unintentional drownings and car wrecks both kill more kids than guns do, but ask most moms whether they are more scared of guns, a pool, or a car. What’s the severity of that motorcycle wreck? Well, it involves organ donation, so we will call that “pretty darn severe.” So, with that one hazard (of many) in mind, do I want to just accept the risk and go? Some will say yes, and some will say no. Lots of people won’t ride a motorcycle because they are just too dangerous. Maybe I can transfer that risk, and have someone else go instead – that might make sense if I don’t actually want to ride, I just want to get the bike there. Maybe I can mitigate that risk a little by wearing a reflective vest to make me more visible to other drivers. That makes the crash a little less likely, but if I get smashed, it is still organ donation time. Maybe I can make it less severe? Maybe with a helmet. Now this is where things get interesting. What if I made a helmet that was so well padded and engineered, it could perfectly protect you from concussions and brain damage? Would you buy it? What if it costs $300,000? Better yet, it only weighs 97 pounds. 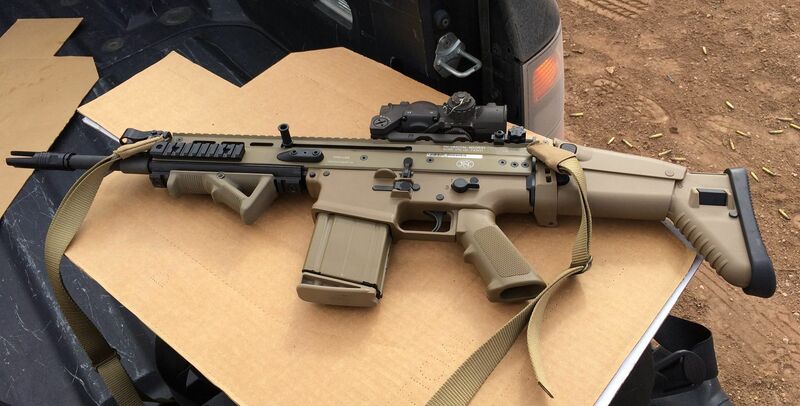 In military, law enforcement, and concealed carry circles, a lot of the steps we take to mitigate one hazard actually make us a lot more susceptible to another hazard. Body armor saves lives. There is no question about it. And if you are in a job where body armor is a thing, you had better wear it, or we are telling your mom. But does body armor come with a cost? Absolutely. It makes you heavier, hotter, and slower. What we want you to do is think through those risk trade offs, and make smart decisions about them. When I was in Iraq, I saw a poster from the Army Surgeon General excoriating troops for driving around in MRAP armored vehicles without seatbelts on. Guys were afraid of getting stuck in the vehicle, so they just wouldn’t strap in. For a while, we were losing more guys to unrestrained rollovers than to IEDs. I am paraphrasing, but if I recall, the poster said something like “if you don’t wear your seatbelt, but get hurt, I will come kill you myself.” At least that’s how I remember it. 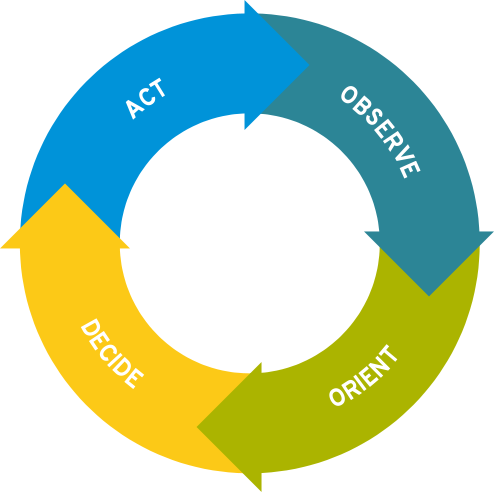 It is encouraging to see so many people in the tactical community start to catch on to ideas like Boyd’s OODA Loop, but the OODA Loop as depicted in a diagram is just a starting point. When you take the time to really explore it, and you combine that lesson with CRM and ORM, you start to strengthen not just your own tactical posture, but also the whole team – maybe that’s your SWAT team, or your aircrew, or your bros when you go out on the town. Each of those key concepts is also multi-dimensional: they apply at each level from the individual shooter to the tactical-level team, to the strategic level, and they are happening both to you and to the other guy. Your perception of danger will impact your decision cycle, and will impact how you function as part of a crew. If your partner is fixated on one hazard, he may not notice the other hazard flanking him – and you need to step in and help. Good planning, good training, good rehearsal, and sober debriefs will strengthen your decision loop, your crew management, and your risk management – that is what you will see here at Tactical Tangents, follow us and we think you’ll be a better tactician. If this sort of thing interests you, check out the books Ground Truth and Red Platoon. Ground Truth is about the failures between the intelligence community, the FAA, and the military during the September 11th Attack. Red Platoon is the story of a massive attack at an Army combat outpost in Afghanistan, in which eight Americans were killed, and two Americans were awarded the Medal of Honor. Both are worth the read (or the listen, they are available in audio format through Audible on Amazon), and both are great illustrations of how OODA, ORM, and CRM all play into each other. Jim is an active duty Air Force pilot with a background in close air support. Jim feels very strongly that the mission of the Air Force is to protect the man or woman carrying a rifle, and that everything else is support. His opinions are his alone and do not reflect the policy or position of the Air Force or Department of Defense, and no references here should be interpreted as an endorsement of any product or service by any government agency.